The entire concept and space spans 22,000m2 with a total of 370 guest rooms. The underwater rooms are located 19 floors below where you can see your favourite sea creatures swimming from the comfort of your bed. THE HYVE is a culinary incubator that strives to guide aspiring chef-entrepreneurs and combines a concept of restaurant, lounge and incubator. Their mission is to prepare these chefs for entrepreneurship by promoting healthy and sustainable business practices and strategies. EARTH Water is proud to be part of THE HYVE first stop in Shanghai. Four big name chefs from Shanghai will compete in a 3-day, 2 round cook off. The champion will be selected by star judges from Shanghai's F&B scene and have the opportunity to join the incubation platform and also receive a US$5,000 cash prize! ...of the 3-course tasting menus with canapés designed especially by the competing chefs themselves. The menus vary daily based on the competing chefs. ZIZZI Unique Italian Dining arrives in Shanghai! Through his adventurous journey of over 30 years at more than a dozen restaurants, collectively 14 Michelin stars, and 300 distinct menus across Europe and Asia, Jérôme is endowed with a brush of freedom to carry on painting his world of gastronomy without boundaries. BLANCHE, the birth of a new restaurant celebrates Jérôme’s 30th anniversary of career and brings to life a residence of historic signiﬁcance. At BLANCHE, one can experience such expressions from interior to ambiance, from Omakase in the afternoon, to the Kung-fu inspired wine list and ‘cinq-a-sept’ cocktails. BLANCHE is located in 100 Wukang Road, former residence of Wang Yuanhua. The residence is originally built in 1918 for senior executives of Texco. ICICLE is a chinese fashion brand and creates comfortable clothing for a relaxed way of life. With time, this initial concept has developed into a versatile highly natural lifestyle brand. We are proud to work with this eco-friendly brand and designed together with them their own private bottle. They aim to promote the Chinese lifestyle and aesthetics as a new trend. Inspired by the unique gentleness, modesty and wisdom of Chinese culture, they are determined to create new ethics of product consumption and personal joy, while avoiding irresponsible over-consumption. In 1997 ICICLE launched its first collection, using pure, natural materials. In 2013, ICICLE had its slogan: MADE IN EARTH. “Made in Earth” fully expresses our core values, with “Made” representing our know-how and “Earth”, our respect towards Nature. EARTH Water and ICICLE shares the same values. We take from the Earth and then give back to Nature, to create harmonious clothing between Human, Earth and Society. This is what we believe in, and what we will carry on doing. With 13 hotel brands, IHG group is one of the leading hotel companies with a presence in almost 100 countries. EARTH Water was present during the IHG Greater China Leadership Conference. 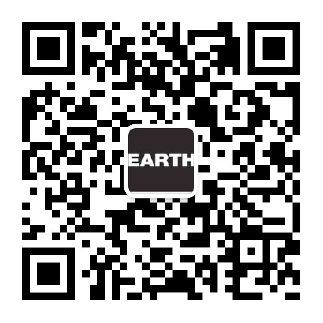 As the partner of IHG hotels, EARTH Water was served during lunch buffet at the Crown Plaza Pujiang hotel. EARTH Water was also served during the breaktime. Together with our distributor JJ Global, we served them fresh juices, water and energy bars and nuts. The 17th Annual Marriott East China Charity Golf Tournament 2018 was hosted on May 11th. All proceeds will be donated to Yao Foundation to support rural education in China. As the partner of many Marriott hotels, EARTH Water & EARTH Coffee was served during the early morning reception and at one of the holes together with The Yuluxe Sheshan. EARTH Water was also served during the luncheon for all the golfers. All the guests enjoyed a good time during this great event with delicious food and drinks. New restaurant of Mercedes is a great experience! Tartine, Check out this new place!